Who knew the alphabet could fuel me to take each letter one by one and write? After all I’ve not even taken on the hard ones like K, Q, and Z? But like the marathon, we take ONE mile at a time, ONE foot at a time. What fuels us to go the distance, crawl, walk and run our race, get up every day and put in the time at our day jobs, and come home to spend quality time with those we love? Energy. Our mojo. It’s what gets us up every day. People get overwhelmed, skeptical, blown-away (figuratively and literally), tired, sometimes excited, jealous, happy, curious and a whole host of emotions. Don’t believe me? I’ve got the report cards and performance reviews to prove it! Oh my, where do you get all this energy from? I don’t know. My mind moves faster than anything I know. It’s been this way for as long as a I remember. And I am principled and deeply rooted in good intent. My motives are clear: get better, progress myself and my world. If I could move my legs as fast as my mind moves, I’d be an Olympian marathoner. My energy and drive has made me unpopular my entire life. It’s challenged me to my core. It’s slapped me in the face and at times I tried to deny it. But oh my, has it fueled my journey in so many great ways. I’ve often been asked how I manage it all? I’m a leader, mom, wife, sister, daughter, runner, writer, budding book author, speaker, friend, and community supporter. Wow, reading and writing it actually makes me rethink how that might sound to most of the world. C-R-A-Z-Y? Nope. I am all of these things but the secret is: PACE. I have learned through a long journey of self discovery and willingness to let my ego aside that I have lots of energy and need to manage it. It’s why I write this blog. I get my energy from the world around me. And the world around me is big. For years it was just the small town in Louisiana I grew up in but now it’s global, it’s on, and it’s always moving. I define the boundaries of my universe, my needs and wants, and be realistic about when that’s all going to happen. And just when I think I’m realistic, I challenge myself to be even more practical and focus it to a few things in a given time period. I need to source my energy and burn it in positive ways. I SLOW-run. In fact, I run intervals to push myself to slow down. It’s the way I train myself to physically and mentally practice pacing. I fuel my energy through the things I love doing but also take down time. I am learning more from introverts. My husband is one as are my closest friends. I read more. I practice introspection more and express less. (Hard to imagine, huh?) I’m aiming to be more meaningful in the “where”, “how”, “when”, and “with whom” I express. I enjoy simplifying problems, seeing the bigger picture and understanding what the options might be near and long-term. I absolutely love living in the space of helping people creating journeys from “A to B” and thinking about what C, D and E might look like and connecting the dots and people to make it happen. I got lucky. I had parents who really let me be myself as a kid and play it out. My energy swung wildly from good to bad. If you’ve read the blog you know I was ostracized as a kid, beaten up in the girls bathroom, over-ate, had a delayed-journey in finding true friendship, had failed young adult relationships, and the list goes on. My 30s have been a pivotal decade. Oh I am sure my parents worried plenty, but they let me be me, encouraged me, and have been there when I needed them the most. So it took years of self discovery, curiosity, failure, risk taking, and fearless leaps, but I have always had it in me to try. And when I didn’t get a good enough answer, I’d try harder, learn and improve. But, I’m a work in progress and will always be. Any regrets? And what’s ego got to do with it? No. I believe the very thing I’ve fought to manage my entire life, pacing my energy, and the journey I’ve been on to get there is the gift God has given me to share with others. It’s why I write. It’s why I’m so open. If you can’t be YOU, what are you supposed to be? It’s why I energetically encourage others. It’s why I try to stimulate greater thinking so people will express themselves unapologetically, to create their own paths, and to grow. A bit about egos… we all have them and they are the demons that block our energy or produce negative stuff. We feed them, protect them, and often don’t check them at the door enough. If you truly want to understand your energy or drive it in the right way, you’ve got to battle the biggest hurdle of your adult life. YOUR EGO. Before I could even tap into myself I had to be OPEN for business. This means putting your shell aside and getting real. It’s the big barrier that protects your soul. It’s that layer around you that shields you from hurt, sadness, happiness, love, and all of the other emotions that we experience. It’s that thing that makes you a big kid in an adult body. Let it go my friend. Re-claim your mojo. Let your soul be freed. Tap into who you are. Understand what really fuels you. Understand how much you need and what you can reserve. That’s how you discover yourself, manage the gas you have, know when to refuel, pace the life you deserve, GO when you need to and lean back when you need to maintain or recharge. 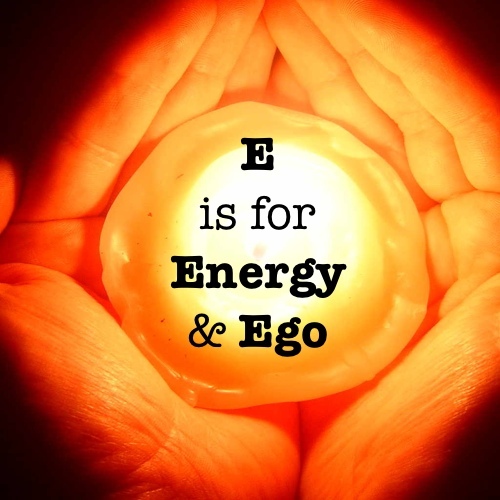 How are you managing your energy and ego? Having a hard time keeping up or not sure what it is you’re looking for? Lost? Taken a wrong turn? It’s okay my friend, life IS a marathon. Pace it. It’s yours to run or slow down. But please, don’t let it pass you by.